The coral bean plant is somwhat elusive as most of the year it is just a jumble of bare twigs. During these times, the plant is most recognizable by the color of the beans in the dark brown pods - a bright coral red-orange. 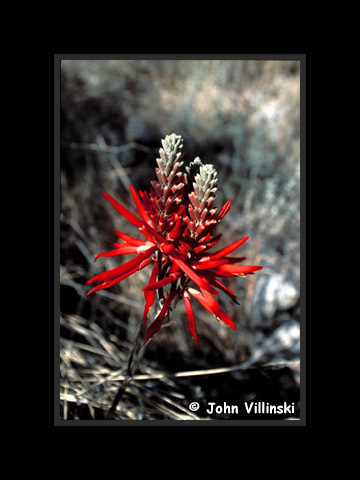 I found these plants in a ravine off the side of the Mount Lemmon highway after stopping to photograph the flowers of an agave (2001).